Tried-and-tested tips for the consummate—but busy—hostess. 1. Host a potluck party. All it takes is taking out your fine china, and watch the party take its own character before your very eyes as your guests bring in an interesting spread of their own special dishes. It'll make for a more diverse menu, and you might discover new favorites! 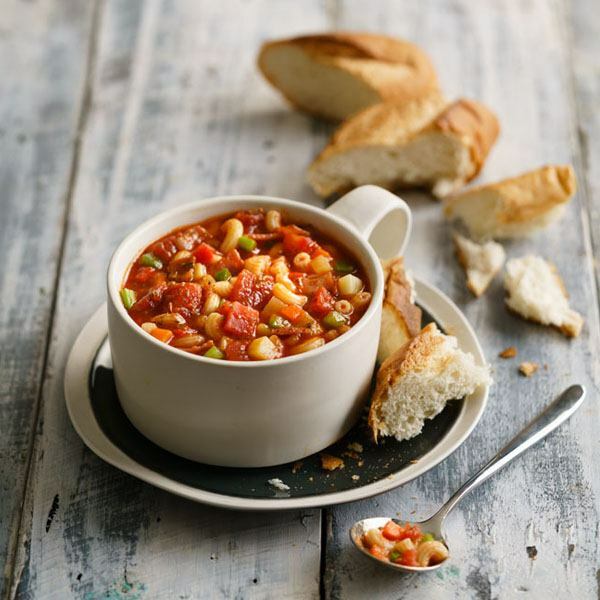 For your own contribution, consider Christmas-­themed comfort food like this minestrone soup. 2. Make only your best dishes, then order in the rest. If you want the menu to be all up to you but don't have time to cook a whole spread, then center your cooking skills on your signature dishes, while leaving the rest to be ordered in. All you have to do is whip up your most impressive and special dish, which is as good (and significantly less of a hassle!) as having to create literally all courses from scratch. 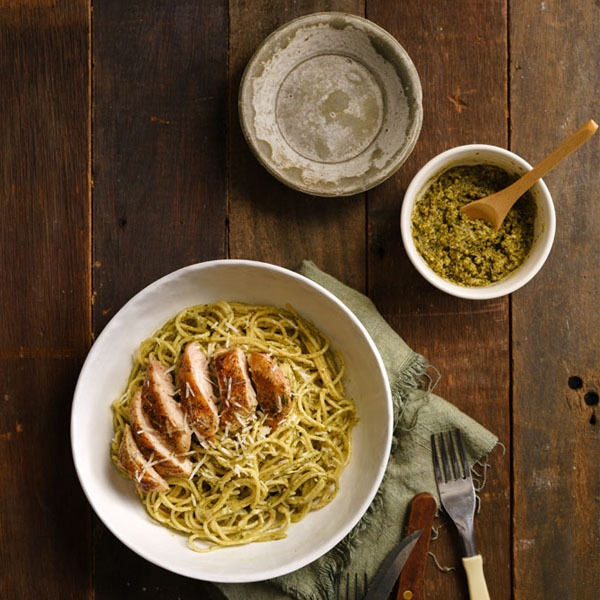 Homemade-­specialty dishes and dessert delivery services, whose menus are often available on their Facebook or Instagram pages, are just one call away—order a few days prior to your dinner. 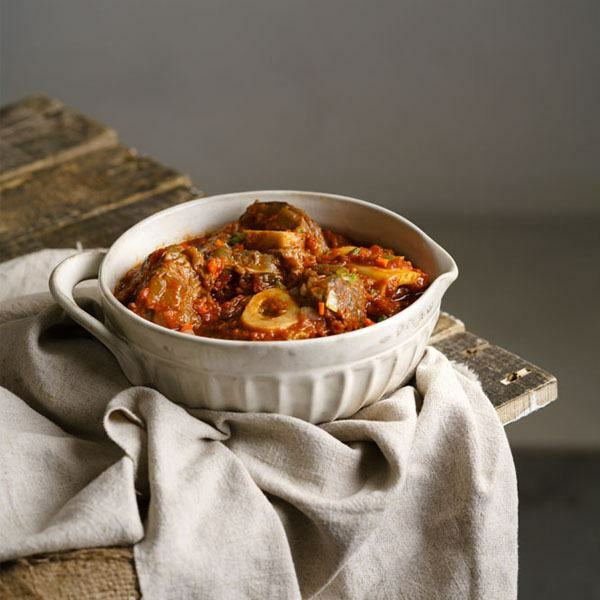 For your piece de resistance, we suggest you cook up a hearty Osso Buco served in an heirloom serving plate, so all eyes will be on your kitchen masterpiece. 3. Cook quick simple dishes and do other activities like games or movies. Introduce a more relaxed vibe to your Christmas dinner, contrary to your well-­orchestrated sit-down dinners. This chill approach will relieve you of a stressfully elaborate spread. Incorporate fun activities, such as an outdoor Christmas movie marathon by the garden, or a board game night that will require easy-­to-­eat finger food. 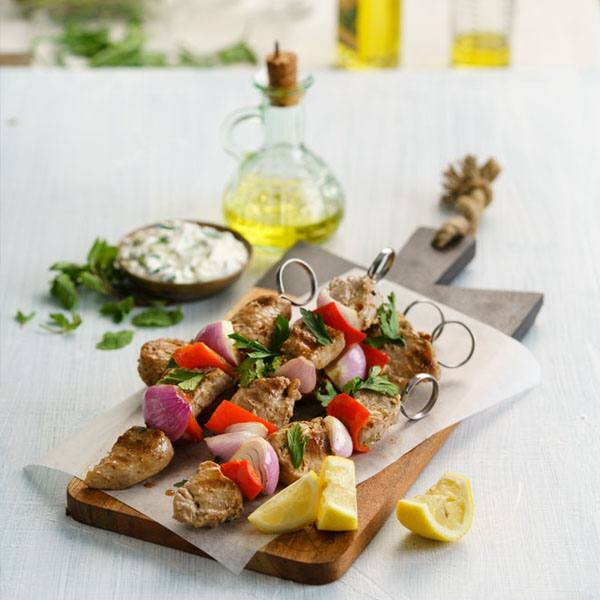 You might like to serve skewered meats such as this pork souvlaki. 4. Incorporate the cooking sesh as part of the party. If you don't have time to prepare anything yourself, then why don't you set your party a few hours prior to dinnertime, and throw a hands-on cooking party? This'll set up a lively atmosphere among your guests, with the tandem kitchen activities breaking the ice within your group. 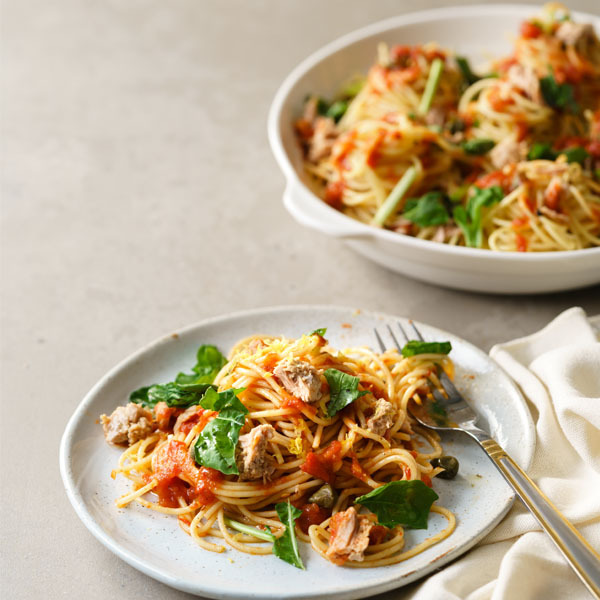 Try a pasta party dinner where guests can whip up their own pasta recipes with the individual ingredients you've set out on the kitchen table. 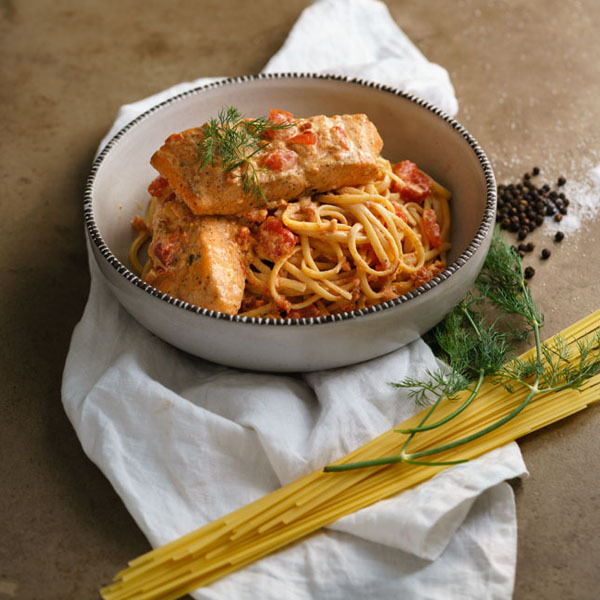 Visit Contadina's website for more recipes. 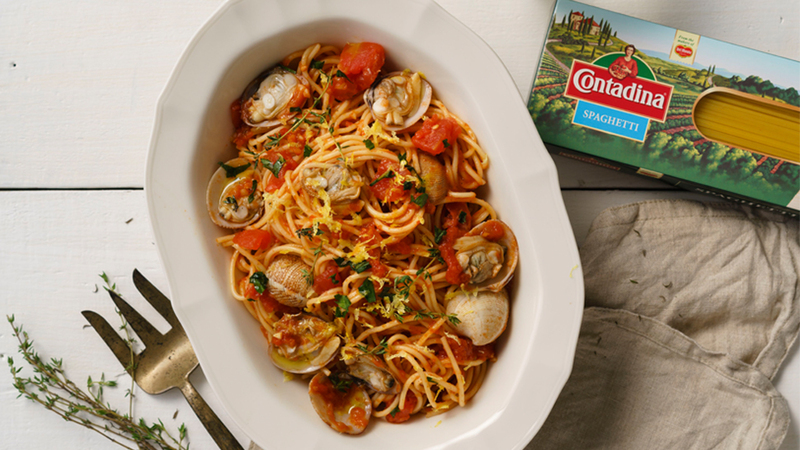 CONTADINA is available in majorsupermarkets nationwide. This article was created by Summit StoryLabs in partnership with Contadina.